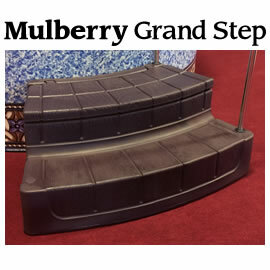 The Portable Baptistry GRAND offers the contemporary appeal, accommodating size, and unparalleled portability of the full-size Portable Baptistry with the superb Grand Steps and reassuring HandRail, along with FREE essential accessories to enable you to set-up and baptize the day it arrives. 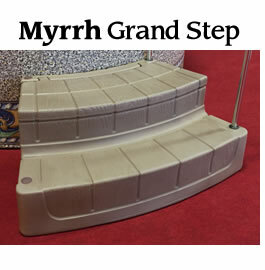 In addition to incorporating the HandRail, the Grand Steps contain a handy storage compartment for stowing away your Portable Baptistry accessories i.e. Thermometer, Drain Pump, Hoses, etc. keeping them in one convenient place. 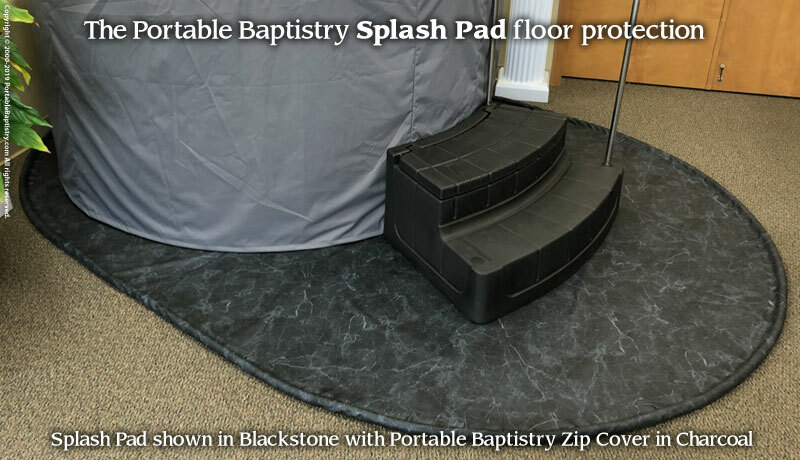 The Portable Baptistry also includes your choice of diverse and attractive Liner Motif Colors from 'ornate' to 'industrial', to perfectly complement your sanctuary. See choices below. 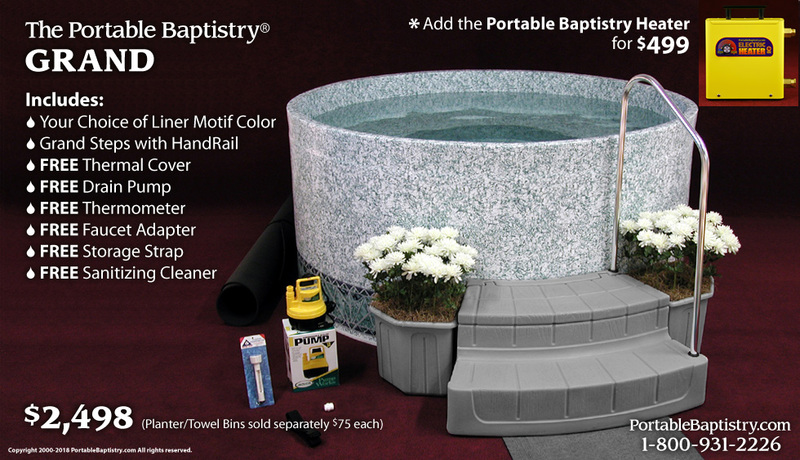 For a handy place to keep fresh towels for candidates as they exit the Portable Baptistry add a matching Towel Bin/Planter or two ($75 each, florals not included). Choose below. 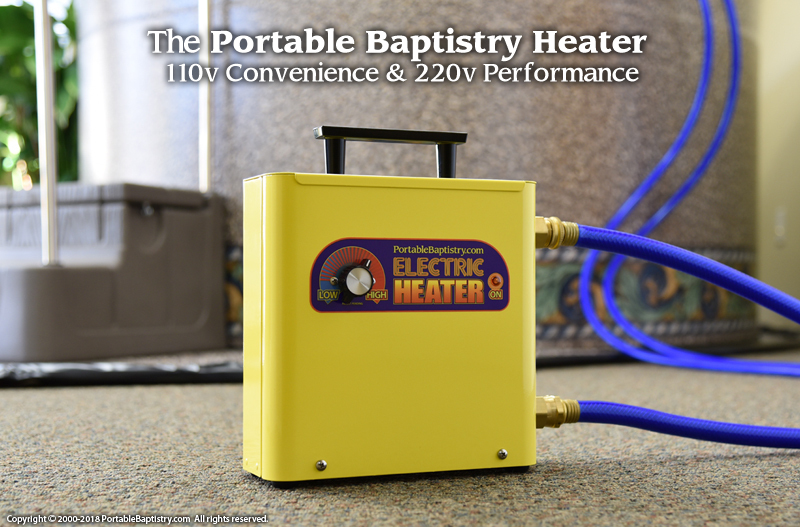 Add the convenient and powerful Portable Baptistry Heater that is made special to go along with the Portable Baptistry for $499. 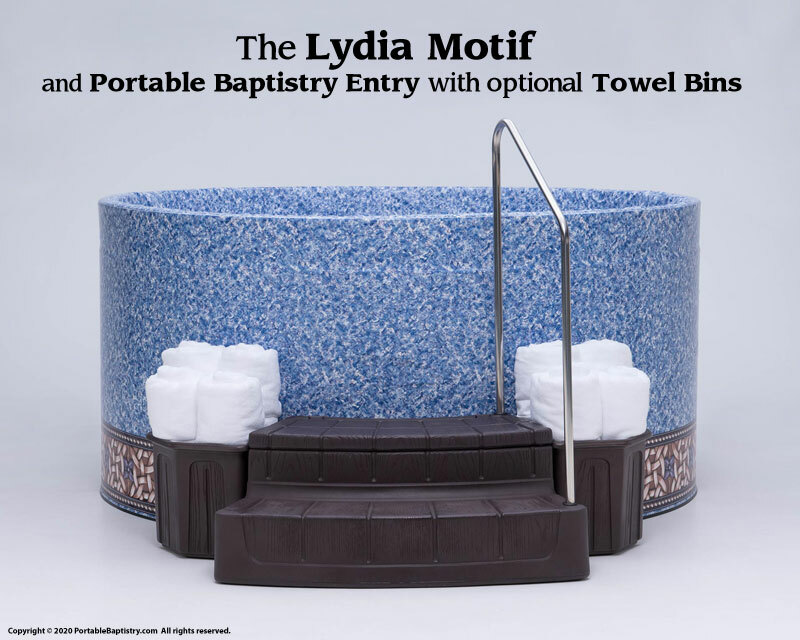 CLICK HERE for more details on the Portable Baptistry Heater. 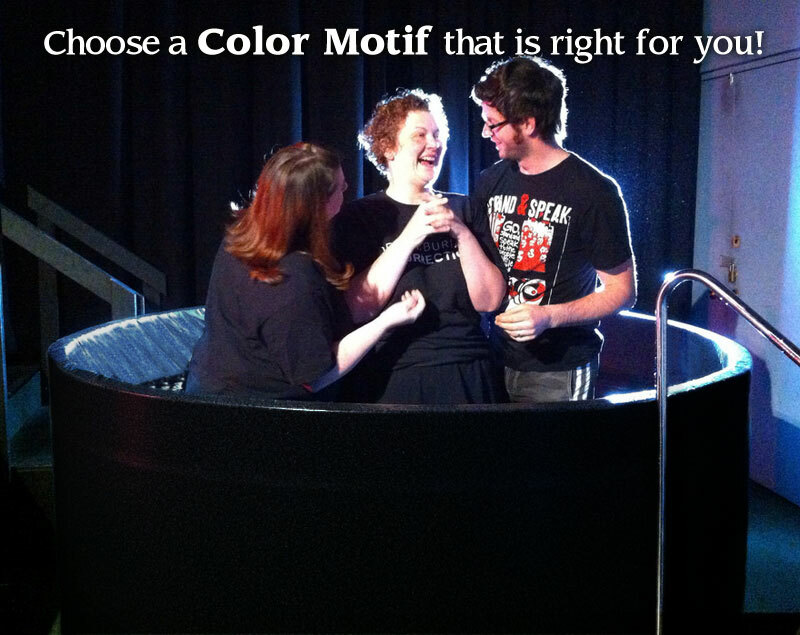 are reversible to a Solid Color on the reverse side. and JOY UNSPEAKABLE reverses to Medium Blue. 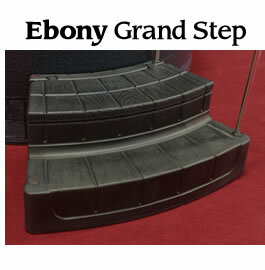 The Freight Charge for this item in the continental US starts at $395. Please allow approx. 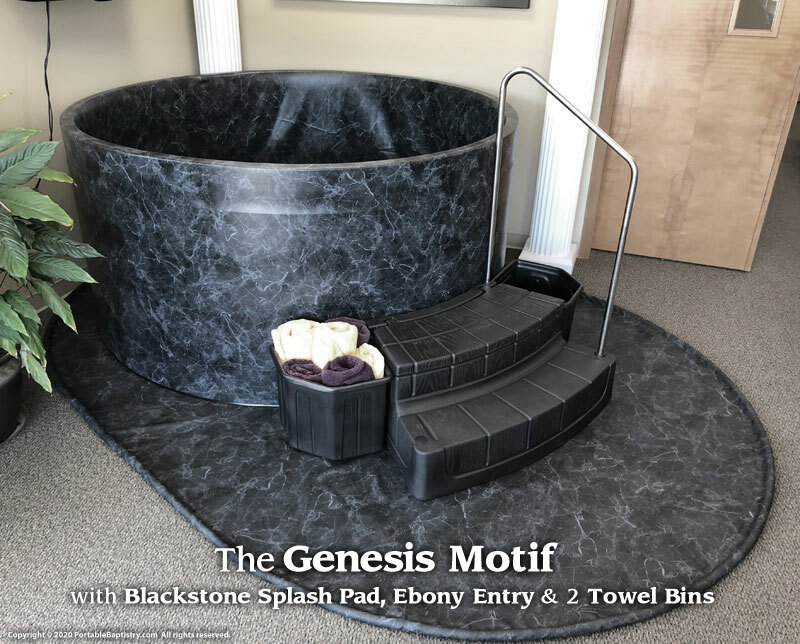 3 to 10 business days for delivery from the date it is shipped. Which color Steps are right for you?